When Ted Kerasote was ready for a new dog after losing his beloved Merle — who died too soon, as all our dogs do — he knew that he would want to give his puppy Pukka the longest life possible. But how to do that? So much has changed in the way we feed, vaccinate, train, and live with our dogs from even a decade ago. In an adventure that echoes The Omnivore’s Dilemma with a canine spin, Kerasote tackles all those subjects, questioning our conventional wisdom and emerging with vital new information that will surprise even the most knowledgeable dog lovers. Can a purebred be as healthy as a mixed-breed? How many vaccines are too many? Should we rethink spaying and neutering? Is raw food really healthier than kibble, and should your dog be chewing more bones? Traveling the world and interviewing breeders, veterinarians, and leaders of the animal-welfare movement, Kerasote pulls together the latest research to help us rethink the everyday choices we make for our companions. And as he did in Merle’s Door, Kerasote interweaves fascinating science with the charming stories of raising Pukka among his dog friends in their small Wyoming village. 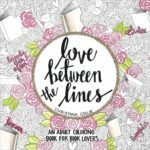 Funny, revelatory, and full of the delights of falling in love with a dog, Pukka’s Promise will help redefine the potential of our animal partners. Ted Kerasote’s books include the national bestseller Merle’s Door: Lessons from a Freethinking Dog and Out There, which won the National Outdoor Book Award. His essays and photographs have appeared in Audubon, Outside, and the New York Times, among other publications. Kerasote lives in Jackson Hole, Wyoming. This story about Ted Kerasote’s new dog Pukka is filled with heart warming tales of puppyhood from actually researching what he wanted in a new dog after his beloved Merle died, to doing everything he could to insure this new dog would have a long life. 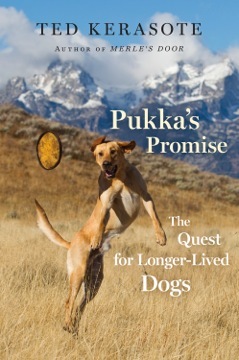 Interspersed with the story of Pukka is his research into what is actually good for your dog. I wish I had access to a book like this before I ever owned a dog. It would have made such a difference in the quality of life for them. Since I didn’t have this information, the best I can do is try to help my dog live the best life she can now. Kerasote takes on the big business that has become pet services and food. What is actually best for your dog? He takes on those big businesses from pet toys to food as well as the vet and their recommended treatments for vaccines, something I had a lot of questions about. I plan on asking a lot fo questions at my next appointment with my dog. With all the recalls lately with pet treats, it is really scary about how those big businesses and governments react to reported problems. I really wish this information was more available to all pet owners.